Quoted in Paul Wadey, “Obituary: Chubby Wise,” The Independent, February 5, 1996. 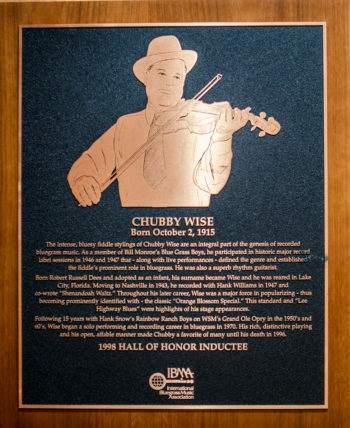 Chubby Wise began a long, colorful, and varied career in show business backing his adoptive father, Robert Wise — a fiddler — on banjo and guitar in Lake City, Florida. After dropping out of school in the seventh grade, Chubby took up the fiddle himself at the age of 12 or 13. At 18 he married Geneva Kirby – the daughter of a prominent neighboring farmer, drove taxis in Jacksonville by day, and made music by night. It was here that he encountered the Rouse Brothers and Ervin Rouse’s classic “Orange Blossom Special,” which became one of Chubby’s most-featured numbers. Wise broke into full-time work as a professional musician on WRUF-AM in Gainesville at the age of 22. With the Jubilee Hillbillies, who nicknamed him “Chubby,” he played a mixture of country, swing, blues, and pop music. These influences can be clearly heard in Chubby’s distinctive fiddling. 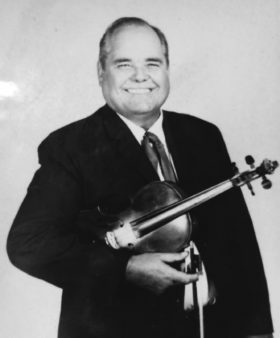 At the height of World War II, Chubby heard on the radio that the fiddler in Bill Monroe’s Blue Grass Boys – either Howdy Forrester or Carl Story (sources disagree) — was leaving for the Navy. Some time afterwards (sources disagree on the month and year), Wise grabbed a train (other sources say he drove or took a bus) to Nashville, auditioned, and joined a band that included Clyde Moody, David “Stringbean” Akeman, and “Cousin Wilbur” Wesbrooks. Chubby’s style evolved from swing to bluegrass under Monroe’s tutelage. Fiddlers Carl Story and Floyd Ethridge were also carried with the band until Monroe was satisfied that Chubby Wise would work out. Wise was still in the group when Howard Watts joined in 1944, followed by Lester Flatt in March of 1945. Shortly thereafter, Chubby left for almost a year when Howdy Forrester returned from the service to claim his job; Forrester soon left and Jim Shumate played with Monroe for a few months. 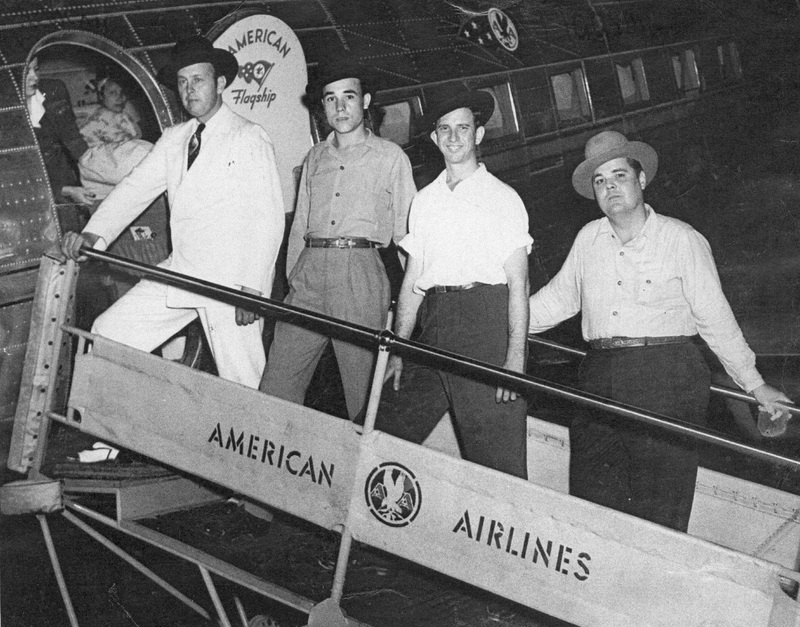 By the time Wise returned in March of 1946, Earl Scruggs had joined. This ensemble is considered the classic bluegrass band. Together for just three years, they influenced generations with their WSM broadcasts, Columbia recordings, and personal appearances. Tunes such as “Blue Moon of Kentucky,” “Will You Be Loving Another Man,” “Wicked Path of Sin,” “Little Cabin Home on the Hill,” “Blue Grass Breakdown,” and “Sweetheart You Done Me Wrong” are cornerstones of the bluegrass legacy. In 1948, Chubby moved to Washington, D.C. to perform with Clyde Moody, with whom he had co-written “Shenandoah Waltz,” a sizable hit on King the previous year. Country music entrepreneur Connie B. Gay showcased them in capital-region radio, TV, and concert appearances during two stints, punctuated by a sojourn in Durham, North Carolina. In 1954 he joined Hank Snow & the Rainbow Ranch Boys on the Grand Ole Opry and RCA Victor records. He was a prominent member of that recording and touring band for the next 16 years. By 1954, Snow had made 200 recordings, scored 17 top-10 country hits, and was represented by Colonel Tom Parker, with whom he co-owned a booking agency. On personal appearances, Chubby Wise and Hank Snow often performed hot fiddle-guitar duets in the manner of Hugh and Karl Farr, best known for their work with the Sons of the Pioneers. In 1967, promoter Carlton Haney prevailed upon Chubby Wise to appear at the Berryville, Virginia, Labor Day weekend festival, to participate in the Sunday afternoon “Story of Bluegrass” concert with Bill Monroe. This triggered a number of subsequent appearances at bluegrass events. 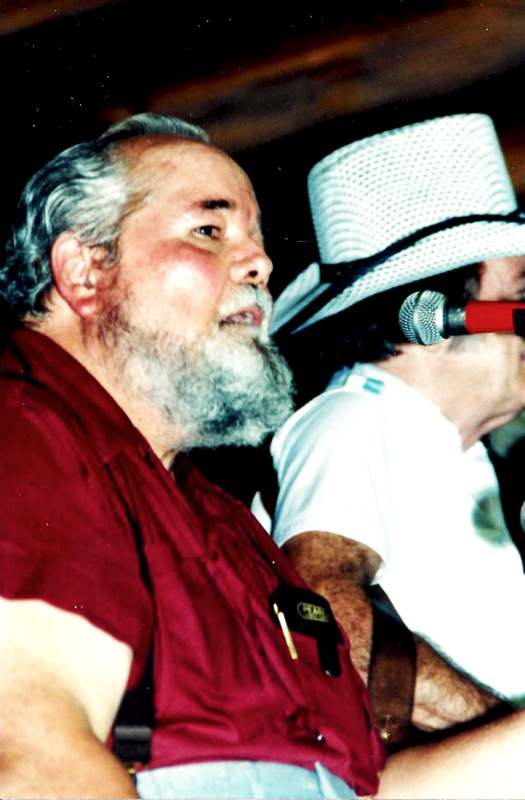 After leaving the Rainbow Ranch Boys in 1970, Wise moved to Houston, where he recorded extensively with Stoneway Records in a variety of genres, and toured as a solo act at nightclubs and bluegrass festivals. In 1971, he was featured in the film Bluegrass: Country Soul, backing Jimmy Martin, playing in the fiddle jam session, and on “Orange Blossom Special” with Mac Wiseman and Sonny Osborne behind him. In 1984, his health in decline, Chubby Wise returned to his childhood home of Lake City, Florida. The bluegrass community produced several benefit concerts to help with his medical bills. Chubby Wise died at the age of eighty in January 1996, while visiting relatives of his second wife Rossi in the Washington, D.C. area, shortly after being hospitalized for double pneumonia. His last recordings, made in 1994, were released shortly after his death as An American Original. Learned banjo at age eight, while recovering from a leg injury which made him ineligible for the military during World War II, when Bill Monroe’s fiddlers were leaving for the service. Played guitar with a flat pick on Bill Monroe gospel numbers, while guitar thumb-picker Lester Flatt sang in the quartet. His first album, oddly titled “The Tennessee Fiddler,” was produced by Hank Snow at Snow’s home studio in 1961 for the Starday label. He made 17 more LPs for Stoneway between 1970 and 1979, and two CDs for Pinecastle in the mid-90s. Profiled in Orange Blossom Boys: The Untold Story of Ervin T Rouse, Chubby Wise and the World’s Most Famous Fiddle Tune, Randy Noles, 2002. Recorded sessions with Hank Williams, Red Foley, Ernest Tubb, Eddy Arnold, Merle Haggard, Hylo Brown, Jimmy Martin, Mac Wiseman, Red Allen, Hazel & Alice, Charlie Moore, Larry Sparks, the Good Old Boys, the Bass Mountain Boys, and others. A member of the classic 1945-1948 edition of the Blue Grass Boys, Wise helped to establish the essential form of the bluegrass style, and became the pattern for generations of bluegrass fiddlers. “Shenandoah Waltz,” which he co-wrote with Clyde Moody, was a hit for Moody and sold 150,000 in the pop field for Sammy Kaye. Starred as a fiddler in bluegrass, country, and Western Swing during a musical career that spanned seven decades. SPBGMA Preservation Hall of Greats, 1991. Bluegrass Hall of Fame, 1998. Bill Monroe, quoted in Charles K. Wolfe, “Bluegrass Touches: an Interview with Bill Monroe,” Old Time Music, Spring, 1975. Charles Wolfe in liner notes to Hank Snow: the Singing Ranger, Volume 2, Bear Family Records, 1990. “Chubby makes the fiddle sing like a singer sings. He told me that once you start a break, you should never take the bow off the strings. It should just be like a sea gull flying over the ocean waves. He said that’s how smooth you have to get it. Tommy Cordell, quoted by Barry Willis in America’s Music: Bluegrass, 1989.